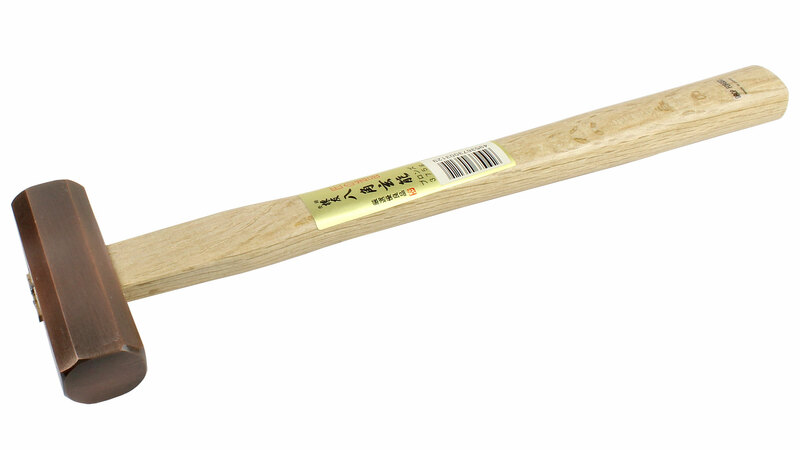 Genno - that’s what the Japanese call these hammers. We’ve devoted a whole page to them, not so much because of their function but rather because of their origin and unique character. Selective hardening of the striking surfaces means that part of the recoil energy is absorbed by the somewhat softer core of the steel. You feel you’re working more effectively, also because less of the recoil energy makes its way back to the wrist joint. These square and octagonal hammer heads have one flat and one slightly convex striking face. Use one or the other face, depending on the job at hand. 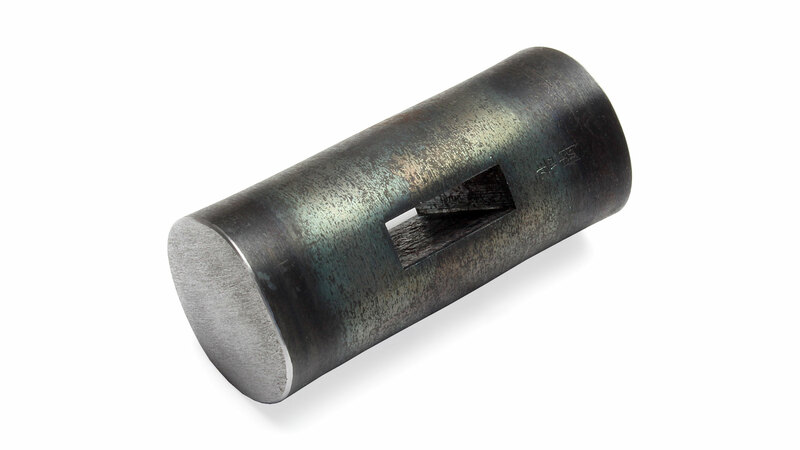 The flat face, for instance, is used for tapping chisels or for driving in nails close to the inside edge of a workpiece. The cheeks of the hammer head glide over the surface of the workpiece, so you can be sure that the striking face is exactly at right angles to it. 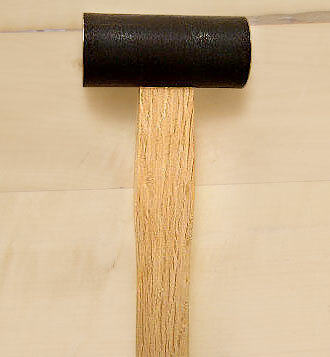 This provides you with the best chance of knocking in small nails dead straight even in an inconvenient location. 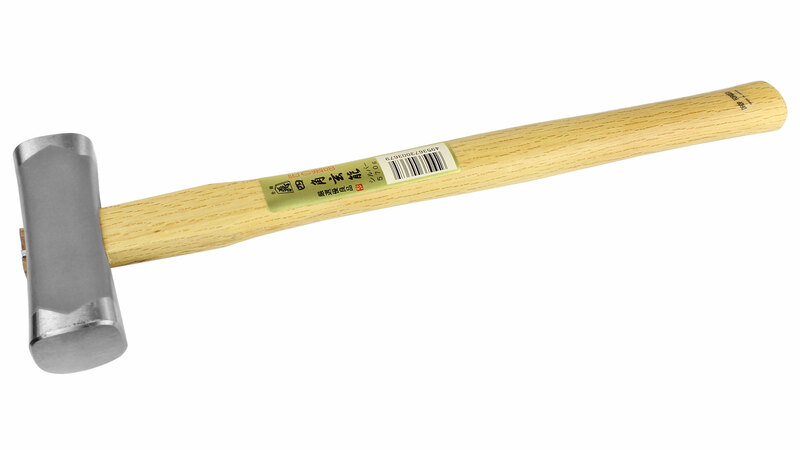 For setting nails you use the convex face of the hammer to minimise the risk of damaging the surrounding wooden surface. 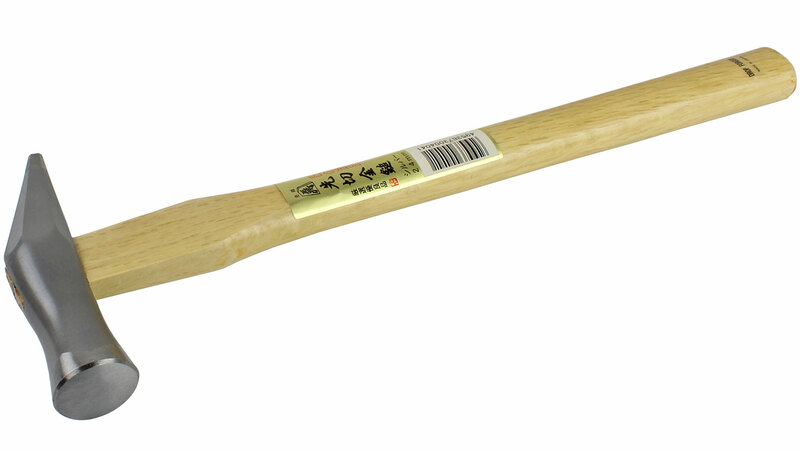 In Japan, metal hammers are the tools of choice even for chiselling work; for optimal results here pick the 375 g hammer. Of course, your aim will have to be a bit better than with a wooden mallet. 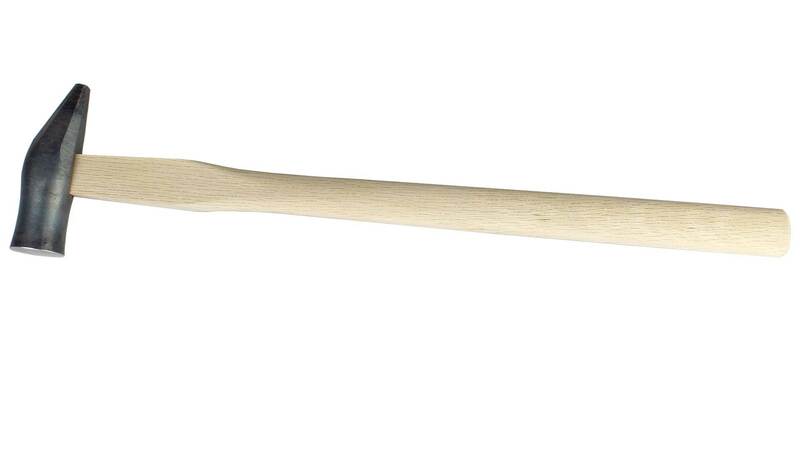 If aiming is not your strength, why not choose the Daruma, an impressive club hammer with a broad striking surface. These elaborately hand-forged hammers by master smith Hiroki are perfectly balanced, come with an ergonomically formed handle and are a pleasure to use. Mainly used to drive nails. 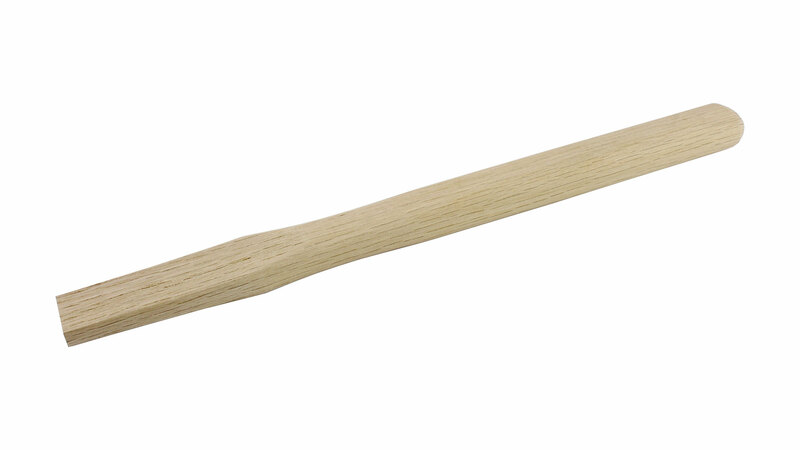 This small club hammer is just perfect for all smaller cutting, sculpting and chiselling jobs. The short shaft makes for excellent handling. One striking face is flat, the other slightly convex. These club hammers have enough driving power for all cutting and chiselling jobs. 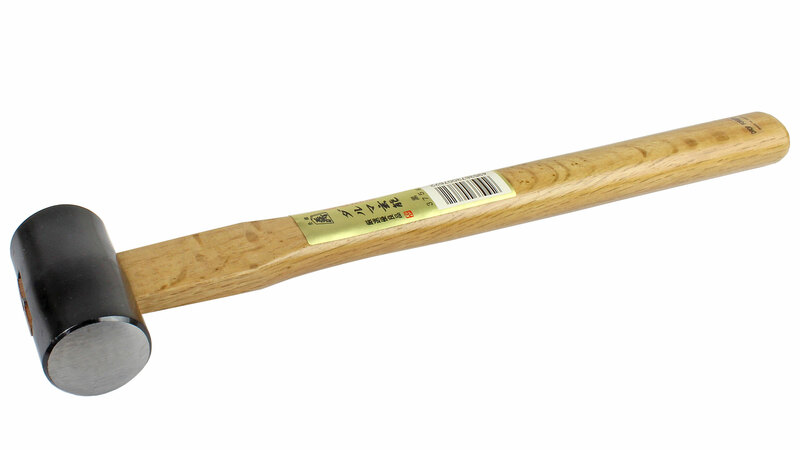 The 375 g hammer is worth its weight in gold for working with chisels. In Japan, carpenters were traditionally paid by the number of finished joints. In order to work quickly, they needed perfectly-balanced hammers. 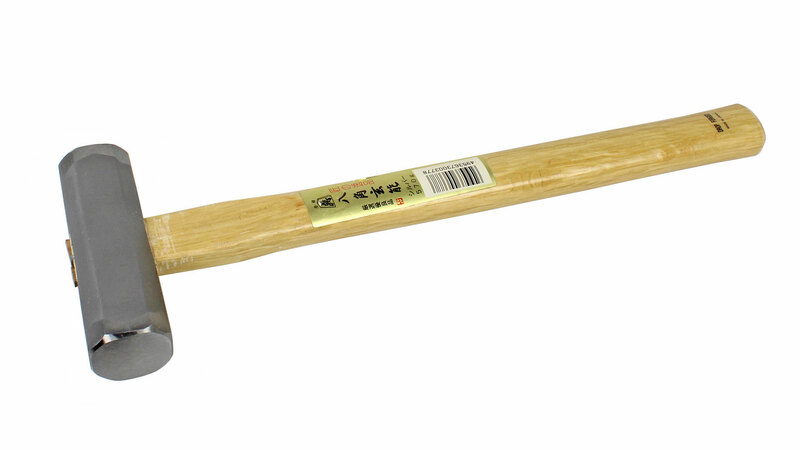 As Japan modernized, the manufacture of these kinds of hammers was mostly forgotten. But the art and tradition lived on through the 20th century in the person of master smith Kozaburo Hasegawa. He died in 2004. Master smith Aida Hiroki has followed in his footsteps and is thought to be the only smith left manufacturing these fine hammers according to the principles of centuries of tradition. 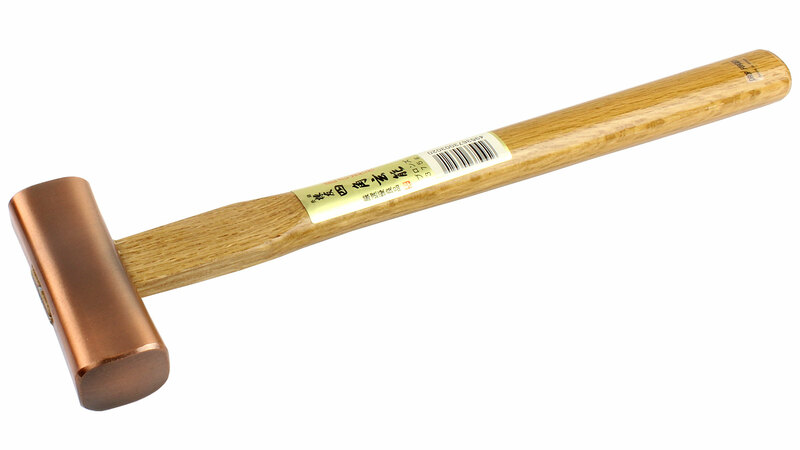 Hiroki sells the hammers under the trademark of Aitoyo. The hammers are known as "orthodox" hammers, in accordance with the original meaning from the Greek: the correct, straight-line teaching or tradition, and so Hiroki shows his admiration for the skills and methods developed by the centuries of hammer smiths that preceded him. 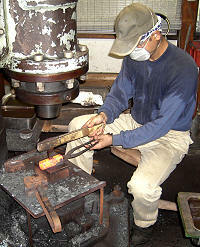 By selective water tempering, Hiroki reduces the hardness of the steel inside the hammer's head. This eliminates the chance of the head breaking, and lessens the stress on the hand and wrist, since the full force of the impact cannot travel up the handle. 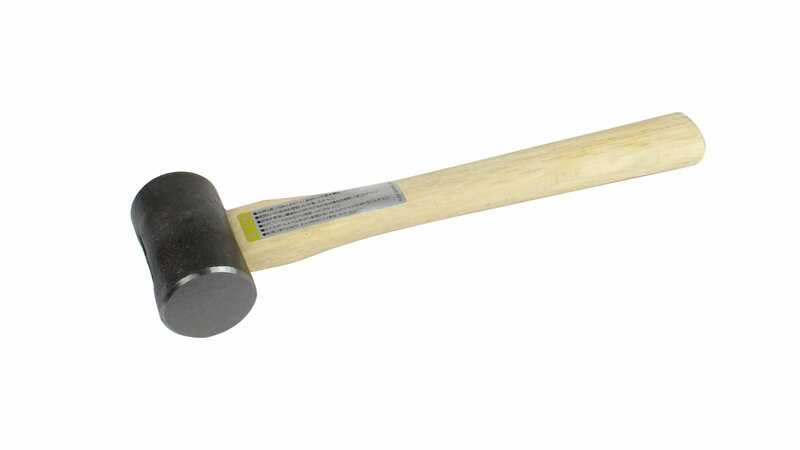 The hammer head is not laminated, it is made of one piece of high-carbon steel. 225 g 36 cm Currently not in stock! 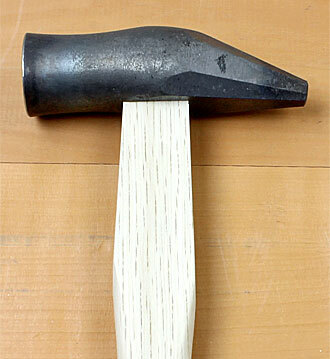 Master Hiroki is of the opinion that if the handle is properly fitted, a wedge is not necessary. If one wants to follow this "Orthodox" advice, one does so at one's own risk. 375 g 36 cm Currently not in stock!